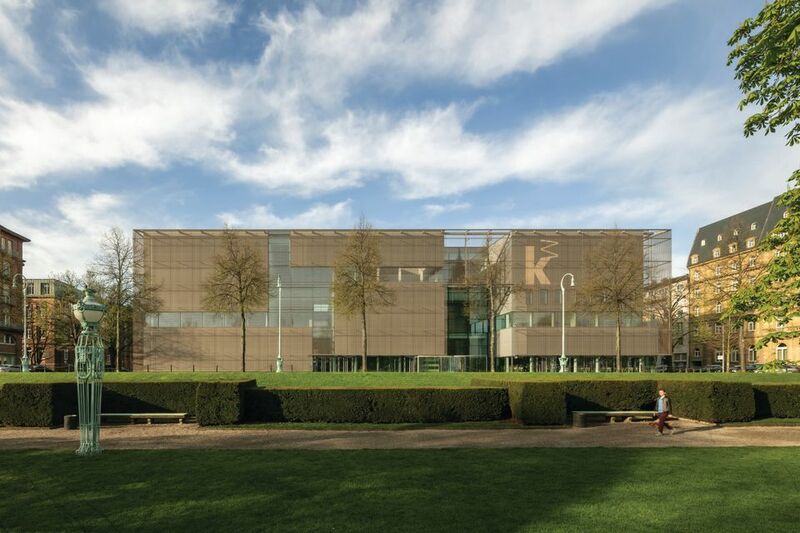 A spectacular new extension to the Kunsthalle Mannheim, largely funded by the software billionaire Hans-Werner Hector, is opening its doors tomorrow (1 June) in the southwestern German city. Designed by the Hamburg-based architects Gerkan, Marg and Partners, the concrete, glass and steel structure is enveloped in a bronze mesh. With seven exhibition halls and a spectacular 22m-high glass-roofed atrium, the 13,000 sq. m space is connected to the existing Jugendstil building. The Hector Foundation II, founded by Hans-Werner and Josephine Hector, contributed €50m of the total €68m budget for the project. As one of the founders of the German software company SAP, Hector is one of the country’s wealthiest people. The city of Mannheim gave a further €10m and the rest was raised from public and private sponsors. The plans for the building initially met resistance, including two petitions to the regional parliament. But since its completion last year, “the enthusiasm and excitement of the public has surprised us,” says Ulrike Lorenz, the Kunsthalle Mannheim’s director. The new building will show a major collection of works by Anselm Kiefer, 38 pieces on long-term loan from the businessman Hans Grothe. The inaugural temporary exhibition, organised with the Mudam Luxembourg, is dedicated to the large-format photographs of Jeff Wall (1 June-9 September). The Kunsthalle’s own Modern art collection suffered enormous losses in the Nazi purges of “degenerate art” in the 1930s. Today, it comprises around 1,500 works by artists including Paul Cézanne and Wassily Kandinsky. A new long-term display (until 2020) will chart the impact of the Nazi era on the museum.